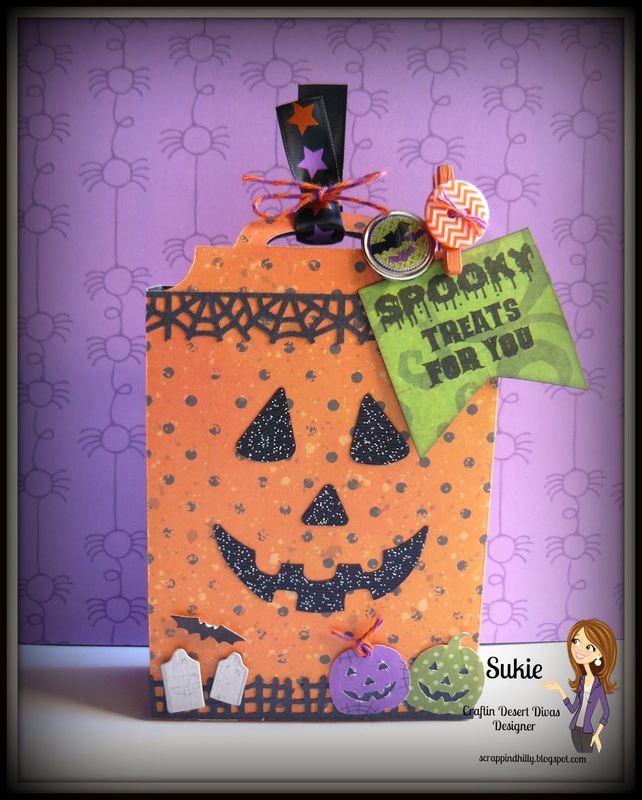 Hello, this is Sukie and I have a fun project to share using the newly released Frightfully Cute stamp set. 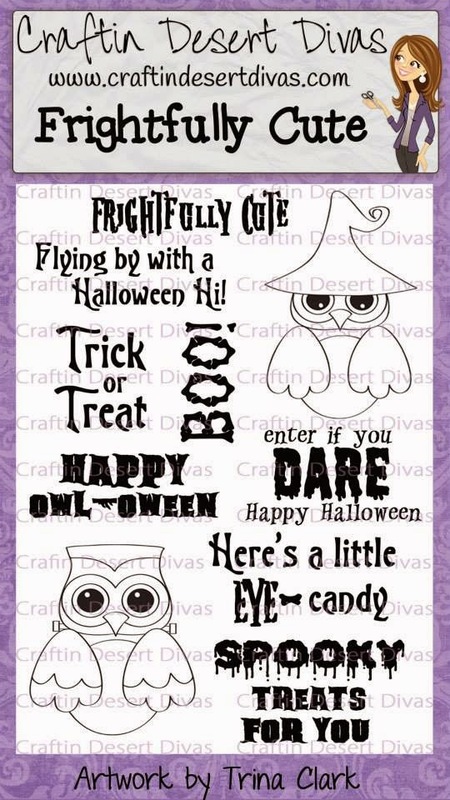 This stamp set is perfect for those Halloween themed projects. I cut the container using the Wrap It Up cartridge and then used punches for the Jack-O-Lantern, the web, the fence and the 2 small pumpkins. The tombstones and tiny bat are embellishments from my stash. I added a bat brad and a clothespin with a button to hold my tag in place. The tag was stamped with a sentiment from the Frightfully Cute stamp set. 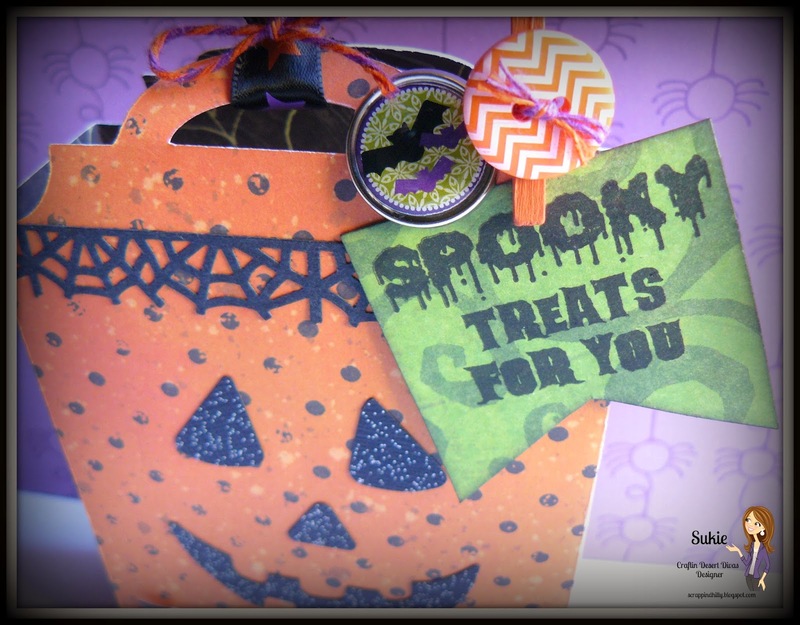 Some ribbon and Trick or Treat Trendy Twine was added as a finishing touch. Here's a closer look at the entire stamp set, you can purchase the set here along with the rest of the September release. What a fun and spooky Halloween treat! I love the way you decorated the container:) The little pumpkins are so cute and LOVE the sentiment! Adorable brad/button for such a cute accent!